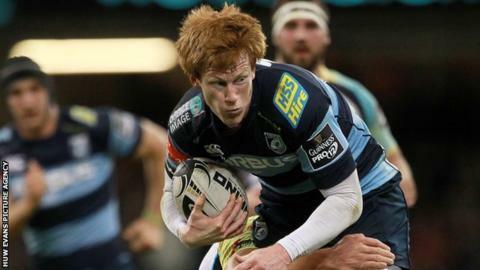 Cardiff Blues fly-half Rhys Patchell hopes new head coach Danny Wilson will be given time to turn the region around after a disappointing season. The Blues finished 10th in the Pro12 in 2014-15, above the bottom two Italian sides Treviso and Zebre. Wilson has been appointed on a three-year contract following the departure of Mark Hammett. Patchell said: "People need to give him [Wilson] the time and space to really try and develop his own game plan." The 22-year-old back is currently training with the Wales squad. He says he is excited to be working with former Bristol coach Wilson. "Obviously he's had a fair amount of success with the [Wales] Under-20s and with Bristol until the last two games of the season," Patchell said. "The boys who have worked with him in the past rate him highly, so it's exciting for the boys that he's at the helm."